Interiors and Exteriors of the Knesset. Man and woman giving speeches in chamber, with politicians working at their desks. 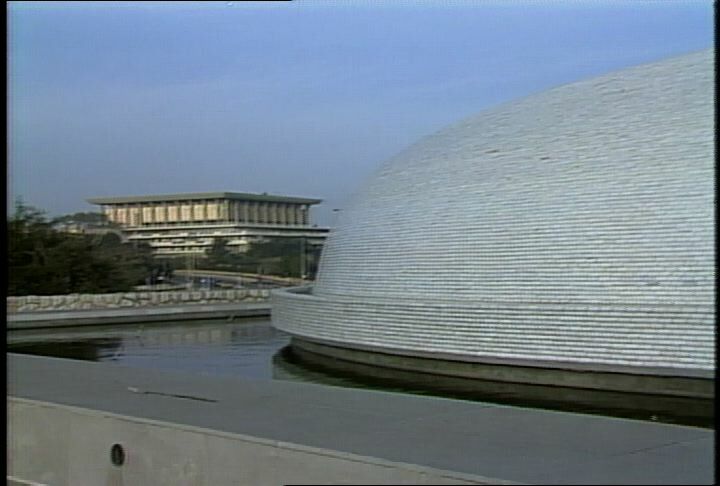 Also, exteriors of the Weizmann Institute of Science and the Koffler accelerator. Chicago: “War and Peace in the Nuclear Age; Israel,” 01/21/1987, WGBH Media Library & Archives, accessed April 24, 2019, http://openvault.wgbh.org/catalog/V_248B9D762DB949AF877551928BA2FBC0. MLA: “War and Peace in the Nuclear Age; Israel.” 01/21/1987. WGBH Media Library & Archives. Web. April 24, 2019. <http://openvault.wgbh.org/catalog/V_248B9D762DB949AF877551928BA2FBC0>.